SEO has never been easier for newbies and pros. How many of you believe that SEO is dead? While this might not be entirely foolish to believe, it’s still not accurate. It’s really flourishing under some current changes that have been made to it. The reality of the situation is that SEO isn’t dead. It’s quite recently unique. If you are jabbing into the world of SEO, for only a couple of months back, you may be amazed to know what number of changes have been occurred in this world while you were away. Analyzing the factors affecting your search traffic, gets easier with these tools. These are the must have tools. Verification of your site with these tools also provides you an access to the reports related to the sites visibility. Make sure that the Content Management System is well equipped with an SEO plugin which allows to write title, description, image tags, page tags and more. It should also let you to format article. The best one will be Yoast SEO for WordPress. For both mobile and desktop, a score of around 85/100 is always considered to be good. If your site takes more than 2 to 4 seconds to load, remember there is a huge chance of losing your visitor. Responsive Web Design makes your web page look good on all devices. These kinds of websites are designed to give users the best experience. Use powerful broken link checker tool to find and fix broken links. You can get a deep information about links in a webpage, about errors and link in existence. The positioning of your pages need to be at the top. A dynamic sitemap .xml generator can be the best option for the same. Submitting the sitemap link to Google and Bing using appropriate sections located in the Google Search Console/ Bing Webmaster Tools. You have to check whether your site is hosted on the spam server and if it is, there will be a problem in all your SEO related hard work. Feed the server IP into this tool and get the lowdown. A robots.txt file is a text file placed in the root of your website or blog. Search engines are instructed about the pages to crawl and to leave alone. Screaming frog can be used to find 301 and 302 redirects. You can use the tool free for up to 500 URLs. It does something more than reporting on redirects, but it’s much of the same stuff. Search Engines look for context and not just for keywords. There are different strategies which can help keep you up-to-speed with the latest search engine algorithms. For contextual keywords Wikipedia, must be fired up and searched for your niche. UberSuggest and Google Related Searches box that appear at the end of the Google SERPs should be used to mine long tail keywords/ key phrases. Your text should sound original and that kind of text is more likely to generate buzz, when the potential customers click on your pages. This will make your website more intriguing. It encrypts your buyers’ inputs, gets you an HTTPs, and builds trust with search engines and viewers at a small price. User experience matters as SEO is all about UX. Your content, its look and its feel on the results page matters a lot. Search Engine algorithms are developing although RankBrain, Googles AI answers tough and complex search queries and handles 15% of the search volume. Positioning your website on RankBrain is possible only if: you write a great content, in a natural tone, that gets clicked on. 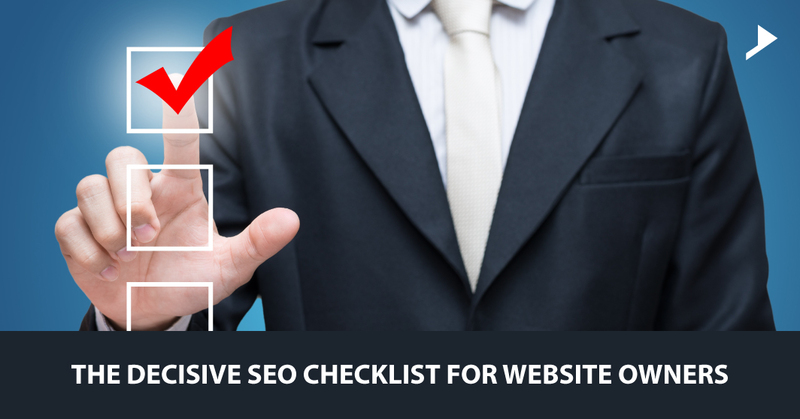 This checklist can be utilized to beef up your sites SEO health. We must keep one single fact in mind that’s about SEO delivering solid contents to the exact users. You have to be technically impeccable and materially superior to your competitors and this is possible only with sizzling hot contents turning their heads, earn clicks and bring in revenue.